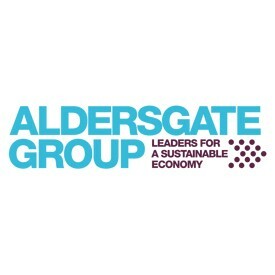 The Aldersgate Group is an alliance of leaders from business, politics and civil society that drives action for a sustainable economy. Its members include some of the largest businesses in the UK with a collective global turnover of over £400bn, leading NGOs, professional institutes, public sector bodies, trade bodies and politicians from across the political spectrum. Its mission is to trigger the change in policy required to address environmental challenges effectively and to secure economic benefits for the UK in doing so. Soon we’ll look at the Internal Combustion Engine (ICE) the same way we look at its predecessor —the horse-drawn carriage— as an unmitigated urban environmental problem of the day. The only major difference now is that citizens living in cities are no longer ‘drowning in horse manure’, they are instead being exposed to toxic levels of air pollution from rising transport emissions. This paradigm is a striking example of how technology and human ingenuity always seems to provide new solutions for seemingly intractable problems. Now as the UK enters a new decade of action to address climate change, the transport sector - now the largest-emitting sector of the UK economy - requires urgent attention to head-off another serious environmental problem. Electromobility, where supported by the continued decarbonisation and increased flexibility of the power grid, is a powerful solution to tackling climate change and air pollution. Governments around the world have already woken up to this and are now racing ahead to implement policies to develop this market. Latest electric vehicle forecasts from Bloomberg shows sales of EVs could surge to 30 million in 2030, at which point they are expected to become cheaper than ICEs. Even companies like Dyson, with no significant background in automation, are attempting to break into this global market, estimated to be worth £1-2tn per year by 2030, and £3.6-7.6tn per year by 2050. So, the question is not when the EV revolution will take place, but rather where? Where they will be built and where they will be sold? There is huge potential for UK businesses to lead this transition as the UK is already home to world-beating automotive and battery manufacturers. In 2016 the UK produced a fifth of all EVs sold in Europe at just one Nissan plant in Sunderland. Boosting this industry will create high quality, well-paid jobs across the country as well as helping to reduce the operational costs of companies with large fleets, through cheaper running costs including better fuel economy and lower taxes. In a bid to try and get ahead of this market, the UK government published its Road to Zero Strategy earlier this summer, which for the first time set out a vision for a cleaner road transport system and seeks to put the UK at the forefront of design and manufacturing of zero-emission vehicles (ZEVs). However, whilst the Strategy includes modest measures to address key financial and infrastructure barriers, it falls short of mapping out a comprehensive vision to ensure Britain remains an attractive base for the manufacture and sales of EVs. If the UK government is serious about leading the world in manufacturing EVs and meeting our climate objectives, it should use the Zero Emission Vehicle Summit today as an opportunity to drive further ambition to accelerate the transition to ZEVs. This means showing greater policy leadership to give the market a clearer signal to drive investment, innovation and the development of EVs. 1. Drive the uptake of EVs by extending government support for electric cars and vans, which currently remain more expensive than their petrol or diesel equivalents. Purchasing grants should be maintained until conventional vehicles and ZEVs reach cost parity. 2. Provide greater clarity on how the UK will reduce vehicle emissions in the future once the UK leaves the EU. EU tailpipe emissions rules have helped reduce greenhouse gas emissions for cars and vans to date and incentivised the manufacture of EV models. However, with Brexit negotiations ongoing, UK business need rapid certainty about the standards they are subject to, to continue investing in and manufacturing ZEVs to sell domestically and to Europe. 3. Deliver an affordable, efficient and reliable EV charging infrastructure to support 100% of electric new car and vans sales by 2030. Currently, not being able to recharge an EV as quickly and easily as filling a car up with petrol is stunting demand. Public funding has been made available to support the rollout of charging infrastructure, but the government must be careful that this should be targeted where the market will not deliver on its own, such as in rural areas and in lowering risks on the unknown cost of connecting the chargers to the electricity grid. 4. Planning now for the future by taking a systemic approach to decarbonising transport. The broader transport system is due to change radically in coming decades thanks to lightspeed technological advancement, population shifts and behavioural change. Government must plan ahead now by rethinking how we move goods and people around the country, planning long-term improvements to public transport, encouraging a shift from road freight to rail, preparing for connected autonomous vehicles and facilitating disruptor businesses such as car sharing. Delivering the above and enabling UK industry to make the most of this fundamental shift in the market will require much greater policy ambition from government. I hope we see some of this ambition in Birmingham over the next two days, and even more in the coming decades to make the UK a nation that is truly fit for the 21st Century.